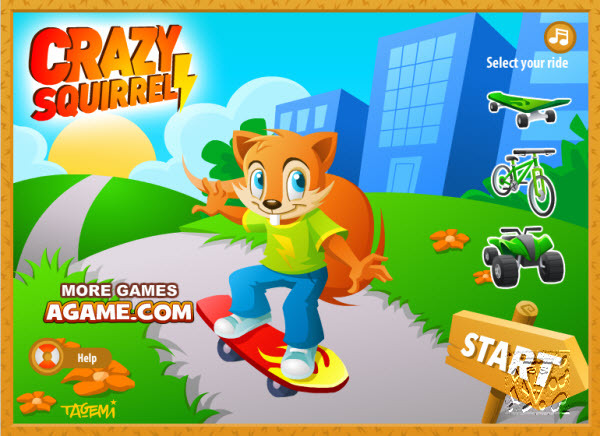 Description: Only the nuttiest of squirrels would dare tackle this crazy obstacle course! How to play: Left/Right = Move Space = Jump Choose 1 of 3 vehicles. Then get going, and make sure to avoid obstacles. Pick up wrenches along the way; they will repair your vehicle.